← Might Jehovah alter his timetable? QUESTION: You’ve written at various times about the influence of Masonry within the Watchtower organization over the years, so I would like to have your thoughts on a recent adjustment in the New World Translation. In the 1984 edition, at Hosea 12:14, the NWT translators chose to use “Grand Master,” and likewise at Malachi 1:6 we see the same usage. This has since been adjusted in the 2013 edition, where the Watchtower organization reverts to the more common “lord” seen across Bible translations. Is this change to hide the Masonic influence at work, an attempt to correct it’s influence, or a “nothing-burger”? Those are interesting questions, for which I have no definitive answer. Not being a Watchtower insider I cannot speak with any authority on such matters. Although, as one viewing matters from afar, given the masonic influence over the Watch Tower from the beginning and the fact that the coven of Masons within the organization now seem to be more emboldened then they have been since the days of Russell, it does not seem to me that the Masons are making any attempt to hide their presence. Quite the contrary. That being the case, I think we can rule out that the revision was an effort to conceal masonic influence. Perhaps some few remaining righteous brothers ditched the masonic jargon. Freemasonry, in all its branches, is a religion. However, it is not a Christian religion, but traces its origins to the darkest mysteries of Babylon and Egypt. 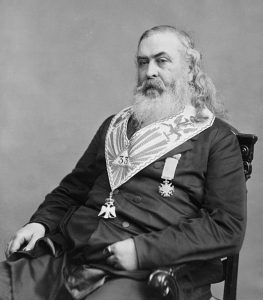 In modern times Freemasonry is run by the British Crown, especially since the American Civil War and the prominent satanist, Scottish Rite Mason, Albert Pike —of three world wars fame. Freemasonry appears to be the mechanism by which the beast infiltrates and subverts important and influential institutions —including religions. Freemasonry is the means by which the harlot seduces the kings of the earth. That would certainly explain the recently-deceased Billy Graham’s friendship with every American president since Harry Truman. Given the masonic influence emanating from Bethel it is no wonder the Watchtower was involved in a secret partnership with the United Nations for 10 years. Numerous modern religious movements were started by high-ranking Masons. That includes the Latter Day Saints, otherwise known as Mormons. 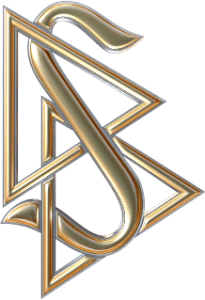 The Church of Scientology uses masonic symbols as its logo. Adventist sects, which heavily influenced Russell, have their masonic rumors. It would certainly be an extraordinary thing if the Watchtower were not infiltrated by London’s masonic agents. Like an iceberg, the masonic presence in the heart of the organization is far more extensive than the mere visible symbols with which they choose to reveal themselves –subliminals included. Given the fact that the harlot of Babylon also commits sexual immorality with the kings of the earth, it should not be supposed that the modern “Balaam” within Christ’s congregation promotes literal sexual immorality; but rather, spiritual. Although, the policy of shielding pedophiles from exposure and prosecution is certainly a form of promoting perverse sexual immorality, Balaam’s influence is also discernible by his teaching the “learners” how to worship the organization. And undoubtedly Balaam’s influence is exerted among his peers, teaching them to seek friendship with the men of influence in the world.